It all started in a bedroom in the manager’s residence above a bank building in Maryborough in 1899, when the bank manager's wife gave birth to a baby girl named Helen Lyndon Goff. 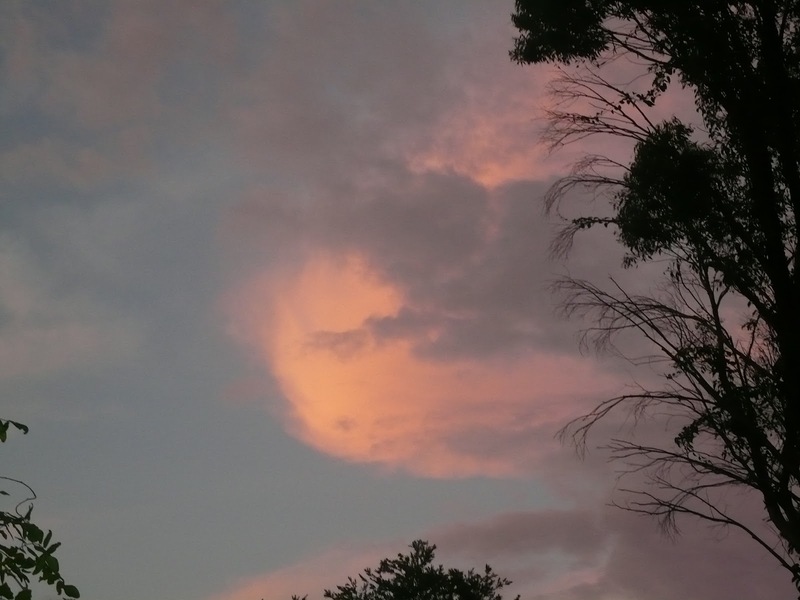 After spending the first few years of her life here, her family moved to Brisbane then Ipswich, Allora, Bowral and then Sydney. As a young woman in the 1920s she moved to London and took the name Pamela Travers for her writing. It was under that name that she wrote the successful Mary Poppins books that lead to fortune and fame - and one of the most successful movies of all times. The first ‘Mary Poppins’ novel about the magical and exceedingly efficient nanny was an immediate success and the Mary Poppins series - there were eight books in total - went on to be translated into more than 20 languages. Pamela Lyndon Travers OBE (born Helen Lyndon Goff) (9 August 1899 – 23 April 1996), was an Australian-born British novelist, actress and journalist, popularly remembered for her series of children's novels about the mystical and magical nanny Mary Poppins. Her popular series has been adapted many times, including in the 1964 film starring Julie Andrews, and in the new Broadway musical which originally was produced in London's West End. I have been away up North for a few days. 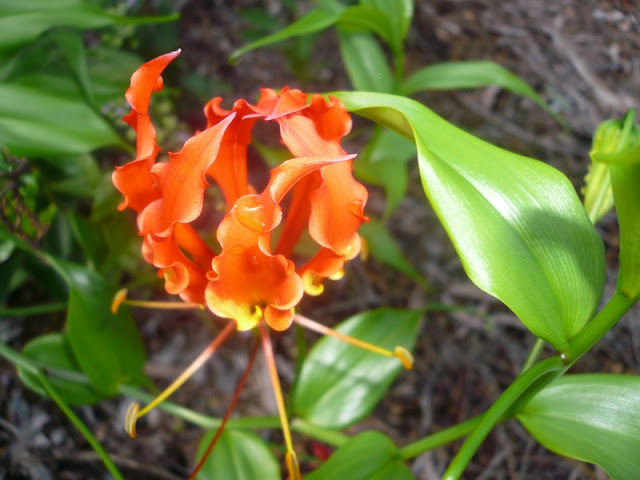 Walking along the beach I found this Gloriosa scrambling all over the place with many flowers. I think they show generally a more crimson colour than this orange red. It is a vine and grows from tubers. I have taken a few cuttings to try to grow it. I hope you like the Gloriosa Lily as it is sometimes called. 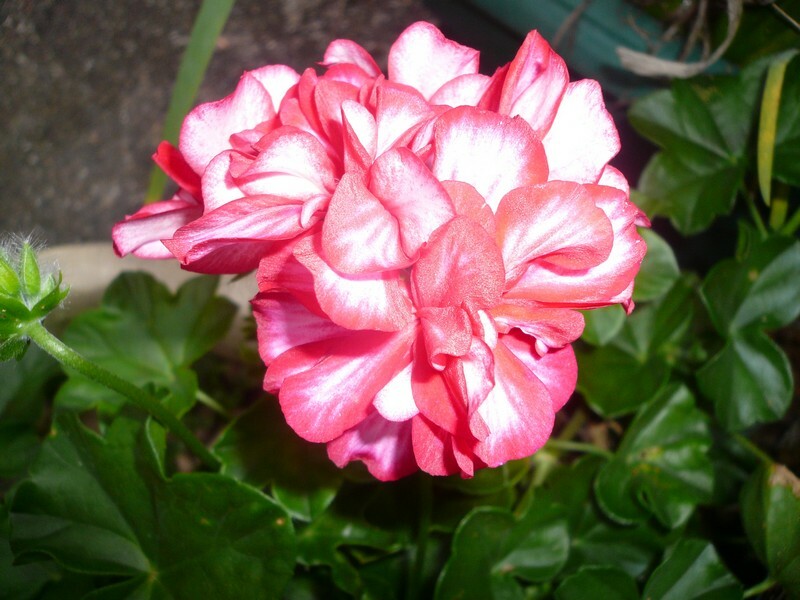 Geranium; I like this pink/white concoction. They are ever popular plants and are never out of fashion. I grow mainly hanging ivy geraniums.They do well through spring, autumn and winter. they do not like my humid, hot summer. The Silvereye is a small bird with a conspicuous ring of white feathers around the eye, and belongs to a group of birds known as white-eyes. The Silvereye shows interesting plumage variations across its range. Silvereyes move north each autumn, and move back south in late winter to breed. 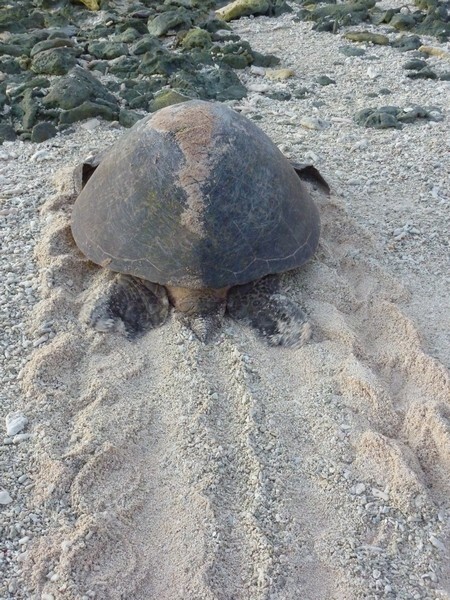 Lady Elliot Island is a breeding ground for Green- and Loggerhead turtles between November and May each year. 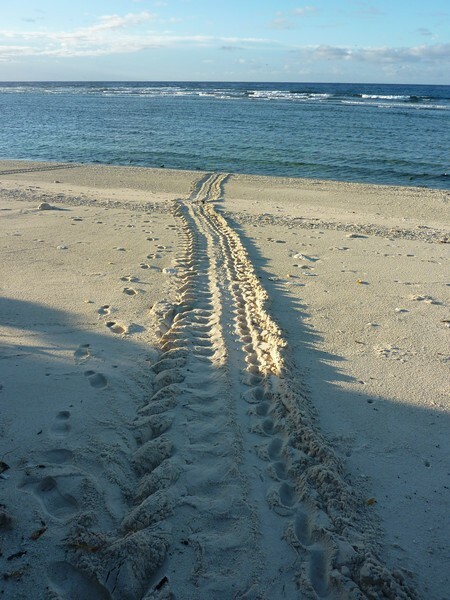 Turtles come ashore at night to lay eggs and are easily disturbed by light, noise and movement. It is possible to have an incredible encounter and watch the females laying eggs and also the hatchlings emerge from the sand.